What does it take to advance to leadership level positions in the nonprofit sector? Our experience has shown that fundraising experience is an important prerequisite for securing an executive position and most importantly for remaining in the position. Related to this is an understanding of fund development and the ability to manage a fundraising operation. These are not the only prerequisite, but it is an important one that is too often overlooked. If you are working for a nonprofit and want to progress in your career, make your intentions known and begin to prepare yourself. Our guidance relates to building your fundraising skills and network. Here’s why: securing funds from philanthropic sources is often times the primary revenue stream for a nonprofit. Even those funded through government grants or contracts, or through earned income streams, find that philanthropic funding is what makes the difference between a “just getting by” institution and a thriving one. The willingness to raise funds and build a fundraising team provides an organization with the funding and resources it needs. Lean in and prepare yourself to be a leader. Develop career goals that include responsibility for fundraising. Learn about the different types of fundraising and how they work together. Invest in your education and training. Participate in online and in-person training sessions that expose you to new areas of fundraising and ones that deepen your current skill set. If your employer won’t invest in your professional development, make the investment yourself. Network with people you meet at conferences or online. Ask questions of those who are more experienced. Ask someone from a similar type of organization in another part of the country for a critique of a fundraising project you are working on. Read journals, books and blogs. Get a mentor. If you don’t currently work for a major nonprofit institution, consider becoming a fundraising volunteer for a local hospital, university or public television station. These institutions typically have more robust fundraising programs than grassroots or mid-sized organizations and can provide exposure to campaigns that include major gift solicitations, annual gifts, special events, direct mail, planned gifts, underwriting and other fundraising programs. You will find opportunities to grow your skills and your network. Most importantly make it known that you want to learn more about fundraising. Most people don’t embrace fundraising. That’s a mistake you don’t have to make. Lean in and you will find opportunities to learn and ultimately to lead. 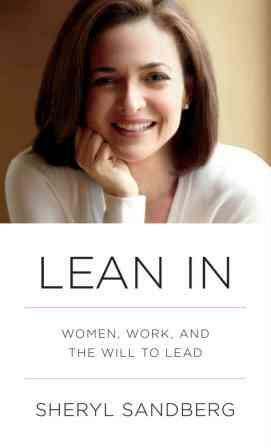 This entry was posted in FUNdraising Good Times and tagged fundraising, Lean In, Marketing, nonprofit leadership, Sheryl Sandberg. Bookmark the permalink.